Openreach today launched the world’s first ever live demonstration of a 100Gbps or ‘hyperfast’ broadband service at BT’s R&D centre at Adastral Park. The demonstration uses a standard residential Fibre-to-the-Premises (FTTP) connection with advanced transmission technology – which can boost the broadband signal with enough capacity to stream 4,000 ultra HD quality movies simultaneously. Developed together with research partners Huawei, the new broadband technology could super-charge speeds for businesses and consumers in the future. 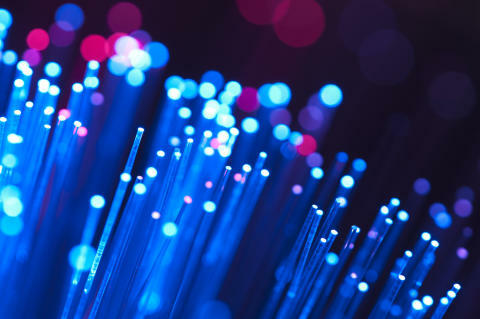 This latest breakthrough shows that much greater capacity can be supported along the same fibre, demonstrating how ‘full fibre’ FTTP networks can be developed to stay well ahead of future demand for bandwidth. The test equipment has been designed to replicate a fibre connection in a real-life setting with a single fibre carrying a 100G signal from exchange equipment and carried over standard technology used in Openreach’s existing FTTP network. Mark Lam, chief information officer for Openreach, said: “This is the first time this has been demonstrated in public, and because we’re using standard infrastructure we can show exactly how we‘d transmit data to a customer’s premises. “Bandwidth requirements are increasing at a rate of around 40 per cent year on year, as services such as ultra-high definition video grow rapidly. There are predictions now that it would take more than 5 million years to watch just the amount of video that will cross global networks each month in 2020. During the next phase of testing, Openreach and Huawei will use the high bandwidth to evolve the global PON (passive optical network) standards and push towards field trialling the technology as the industry chain matures. Clive Selley, Openreach CEO, said: “Superfast speeds are now available to 9 out of 10 homes and businesses and we're still taking fibre further. We're also excited to be bringing the country ultrafast speeds, which we’ll make available to up to 12 million UK premises by the end of 2020. But it’s also vital that we continue looking even further into the future, and this trial is all about preparing for increased data consumption over our network. “The trial proves that not only is our FTTP network fit for the future, but with the right equipment in the customer’s home and at the exchange, we can tailor speeds to suit their individual needs. So whether you’re a small business specialising in graphic design or a keen gamer using UHD and virtual reality, we’ll be working to make sure your communications provider can offer you the speeds and value for money services that you need. Jeff Wang, president of Huawei Access network, said: “Huawei is again proud to partner with Openreach, this time in demonstrating the future capability of the fibre PON network being rolled out in the UK.Over the last few years we have worked closely with Openreach to evolve copper networks from basic broadband, through Superfast into the ultrafast capabilities delivered through G.fast technology. “Online services such as video and gaming are growing at an exponential rate, add in new technologies such as Virtual Reality and Augmented Reality, along with the “connected world” where everything in the home, from toasters to washing machines, heating, lights, security and even your pet is becoming connected, it’s not difficult to imagine a world where these bandwidth demands are heading into the multi Gigabits per second per home era”. Today, around 92% of homes and businesses in the UK have access to superfast speeds of 30Mbps and above, whilst the Openreach fibre network is available to 26.5 million homes and businesses. More than 100 different communications providers (CPs) are offering services over the company’s open wholesale fibre network, and all of them have access to superfast and ultrafast services under the same terms, conditions and pricing. The company will make ultrafast speeds available to as many as 12 million premises by the end of 2020, using a mixture of FTTP and G.fast technologies. Its 32,000 employees are responsible for building and maintaining millions of miles of fibre and copper cables that connect every home and business in the UK to local telephone exchanges. Openreach operates and maintains this network to deliver a range of wholesale services for more than 580 retail providers, who in-turn provide telephony, broadband, TV and data services to more than 30 million consumer and business customers throughout the country. 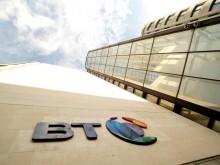 Openreach is a wholly owned and independently governed division of the BT Group. For the year ended 31 March 2017, it reported revenues of £5.1bn.